As Usually this year also Isha Foundation's Shivaratri Celebrations At Coimbatore are celebrating grandly with so many live stage programs with isha sounds and dances. So want to celebrate this maha shivaratri festival with sadguru those all persons can go to the isha yoga center, Coimbatore. Its cost is totally free their are not charging single rupee for joining in maha shivaratri festival celebrations. 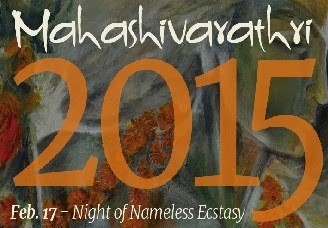 Which channels are live telecasting isha yoga maha shivaratri 2015? These five channels are Maha Shivaratri 2015 Live Streaming in your televisions throughout India. Aastha is only one international channel for watching isha maha shivaratri celebration 2015 in Coimbatore yoga center with sadguru. This is the 21st Isha Foundation's Shivaratri Celebrations at Coimbatore.